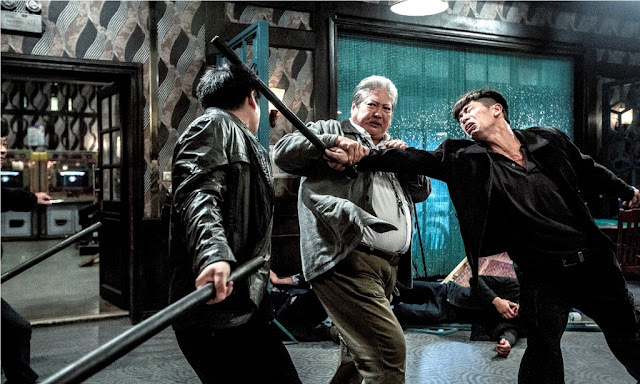 Tencent Penguin Pictures (Shanghai) Co., Ltd.
We always thought that with Sammo Hung, the movie will only be an action packed martial art movie. It is only partially true as there is more to this movie. It has a grandfather-granddaughter love relationship which is the heart-warming. 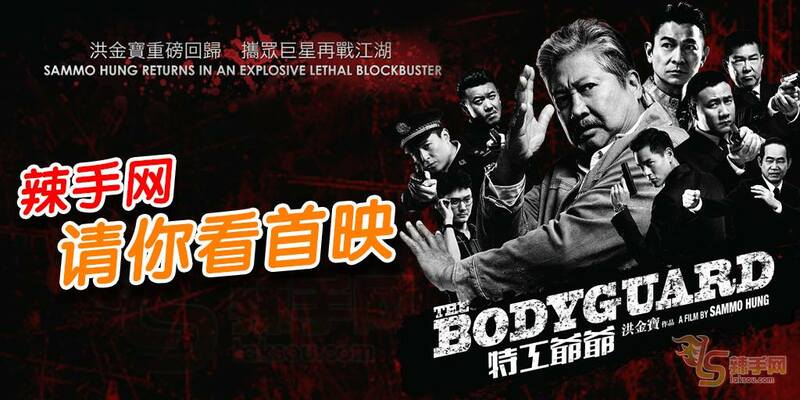 It also have the comedy moment of the shy Sammo Hung when he is with the one sided love lady landlord. As usual, the action packed movie was well executed. Fast and precise and there is no time to brink my eyes as I kept my eyeballs glued to the screen. The interesting thing is that it provides a blue x-ray outline of the anatomy of the body on where the body parts of Sammo's victim were affected by his powerful hits. It shows those hits are surgically aim to inflict the most damage to the victim. Oops! not a very nice thing to know. Just like an acupuncturist who know where to put his needle into the body. No wonder Sammon Hung was a successful martial art director. Even Hollywood wanted him as an martial art director in some of the Hollywood movies. The movie also flashes many familiar faces of past famous comedy actors, Karl Marka, Dean Shek and even one very famous director / actor, Tsui Hark. 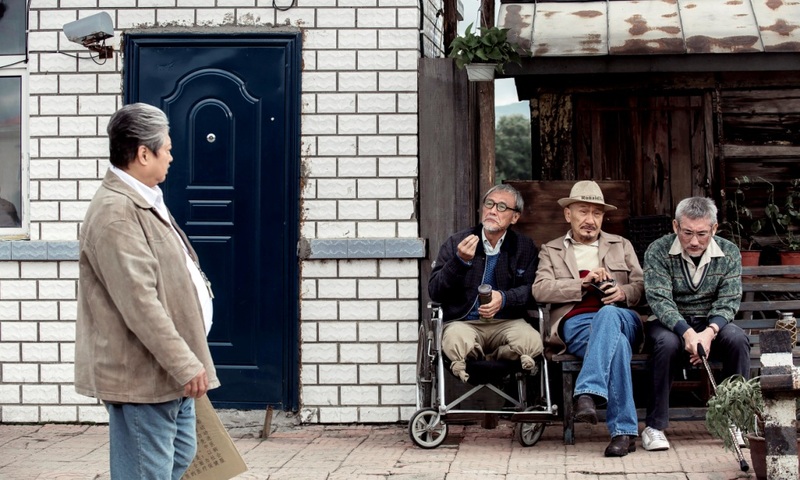 The younger generation cinema goers may not be familiar with them. There is also a martial art actor, Yuen Biao to help us to remember him. Right at the end of the movie, we get to see one of the currently hottest actor, Eddie Peng appearing in the movie to please the audience. Honestly, there is no significant of him in the movie. I believe the objective of the director is to bring some sort of surprise appearance of these past and present famous actors. It is indeed a refreshing way to put this movie on the lighter side, giving the audience, a moment to remember actors. 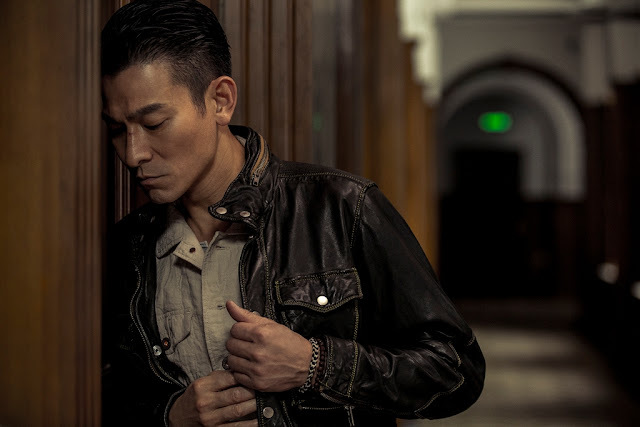 Andy Lau acted as a gambler, got caught in the world of gangsters. His screen daughter, Jacqueline Chan, played the lovely, independent little girl who love to be around with Sammo Hung. 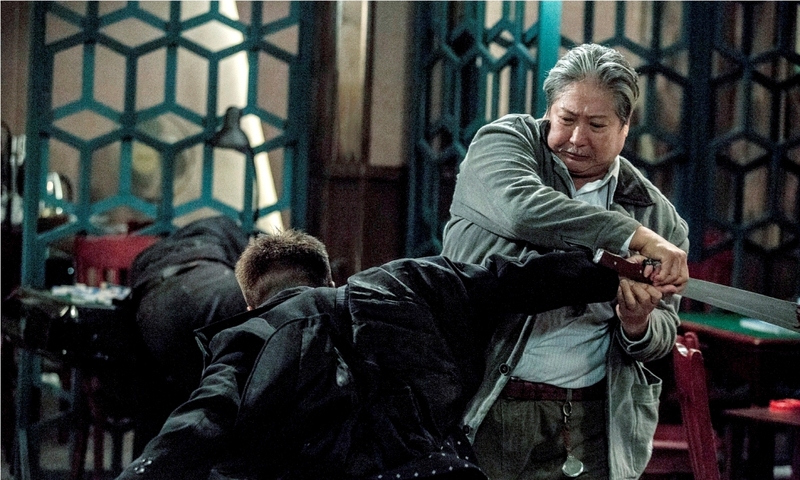 Sammo Hung lost her own granddaughter and was distance away from her own daughter who blamed him for losing his granddaughter. 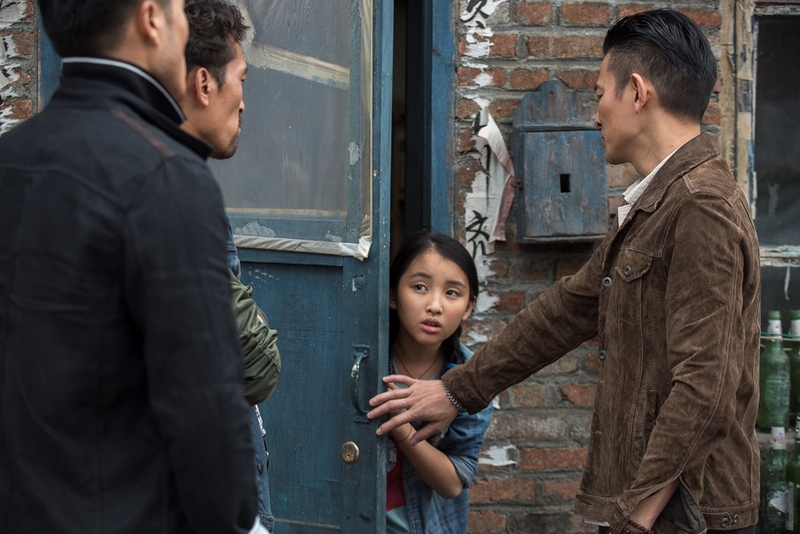 Jacqueline Chan, does came into his life as a replacement for her lost granddaughter. He felt the attachment with the little daughter who brought much joy to his lonely life. Jack Feng, acted well as the gangster master. His brutality helps to contribute to the shocking moment such as the killing of Andy Lau by torturing him with a cut on the back of both ankles and a straight knife pierce into his body. No expression from Jack Feng as he seems such a confidence gangster. Honestly, as audience, we felt the knife and long for a retribution on this bloody gangster who have no love for human life. 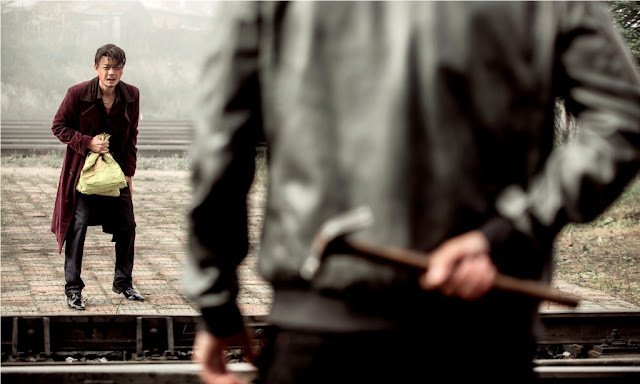 Overall, it was both a brutal, heart-warming action packed movie. With both Sammo Hung and Andy Lau, this movie is definitely a sold-out. Fans will love their acting and appearance. Honestly, I did not know that Andy Lau is a famous producer. In fact, he is a famous actor, producer and singer. I guessed he strive to do well in all his roles in the entertainment industry. I shall rate the movie 3.8 / 5. The movie started showing in cinema on 7 April 2016.